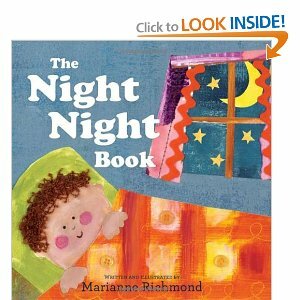 Makobi Scribe is participating in the 1st Annual Children’s Book Day Spotlight On Family Literacy featuring The Night Night Book by Marianne Richmond as my Review and Giveaway. Make sure you hop to the other blogs to see some more wonderful books for kids. The Night Night Book is on its way to becoming a bedtime favorite in my household. For the past six nights it has been requested by not only Jakobi but by Mason as well. As a matter of fact, Mason learned the words, “night night” from me reading this book to them. It makes such a nice, calm way to put the kiddos to bed with love. We take our time and say, “Night Night” to all the things in the book and a few added around the room. It is a great way to put a positive, sweet closure on the day.